Pest Control Services,specialist in extermination of white ants. We are the member of "Indian Pest Control Association(IPCA)" and specialist in extermination of white ants. 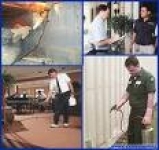 © Copyright 2009-2010 by SURTI PEST CONTROL SERVICE. All Right Reserved.